Gov. 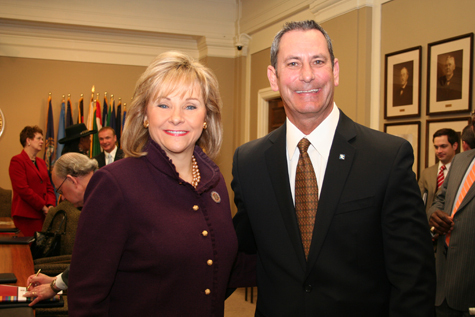 Mary Fallin visits with Tulsa Community College president Tom McKeon at Higher Education Day at the State Capital on Feb. 22. 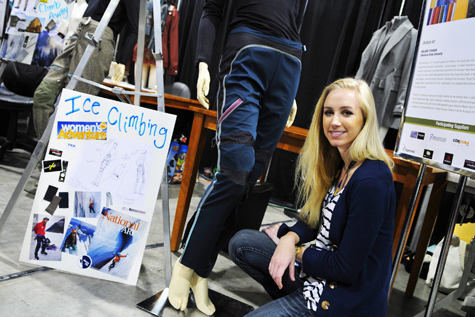 Melaney Stevens, a senior in design, housing and merchandising at Oklahoma State University, won the grand prize for the women’s ice climbing pants she designed for Project OR, a design competition taking place during the Winter Outdoor Retailer show in Salt Lake City, Utah. Project OR is a design competition that celebrates the functionality, originality and design of outdoor recreation clothing. Each year, Project OR selects five design students from top programs around the country and gives them 48 hours to create an original garment prototype using eco-friendly materials. A variety of aromas, tastes, and colors teased those attending the annual International Food Festival at Oklahoma Panhandle State University. Students from around the world, as well as faculty and staff, prepared native dishes and decorated their booths with items from their countries. Many dressed in colorful native costume while serving the approximately 100 people who attended the event. 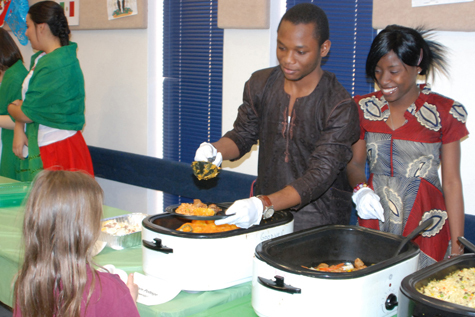 Pictured above, the Nigerian brother/sister team, Rilwanulai (left) and Memunat Oyebola serve a young patron.